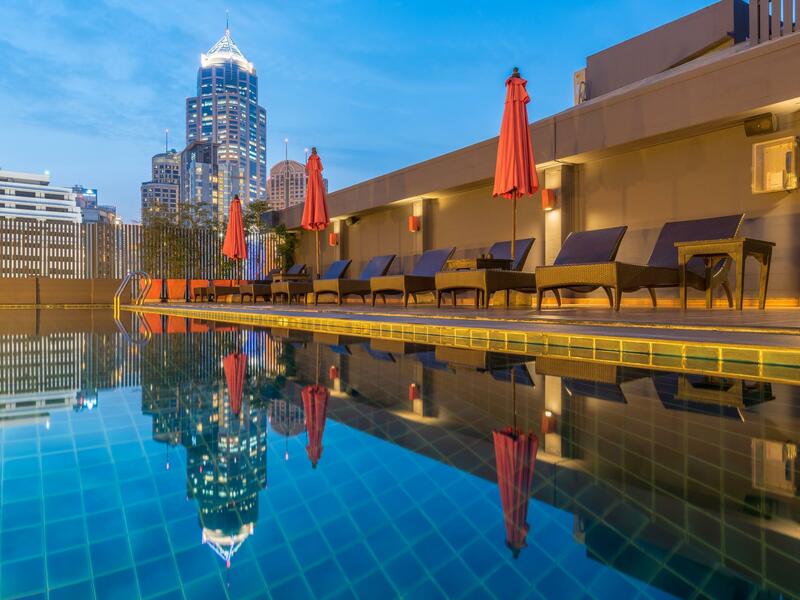 Have a question for Hotel Solo Sukhumvit 2? "My family and I enjoyed our stay at this hotel." "Nice hotel - quiet location but close to the busier areas." 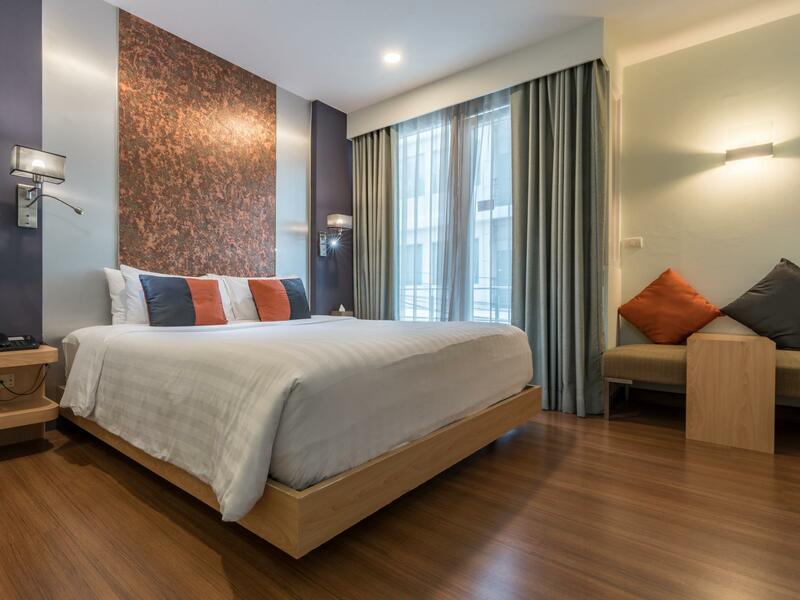 A visit to the Hotel Solo Sukhumvit 2 will make your Bangkok trip much more memorable and enjoyable. Rated 4 stars, the hotel is great for experiencing a truly fantastic vacation. Featuring a hot tub, a spa, and an outdoor swimming pool, it is fully equipped to ensure that your vacation is as memorable as possible. All of the rooms come with air conditioning, a high chair, a sofa, and an alarm clock, as well as an in-room safe box, bathrobes, linens, a closet, and other amenities. This hotel is near VG Bespoke, Nana Fashions, Hi-Mark Tailor, R and R Apparel International, and Masjid Indonesia. The rooms here overlook the city for picturesque views of Bangkok. 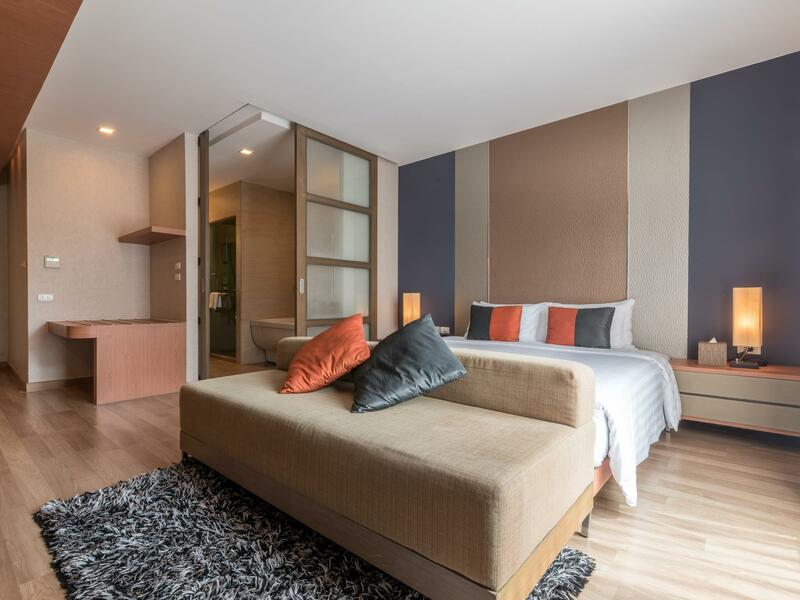 With an infirmary, safety deposit boxes, a currency exchange, a laundromat, as well as a smoking area, the Hotel Solo Sukhumvit 2 has several convenient features to make your stay more comfortable. Massages are available, so if you want to spend your day simply relaxing and unwinding, you can treat yourself like royalty. 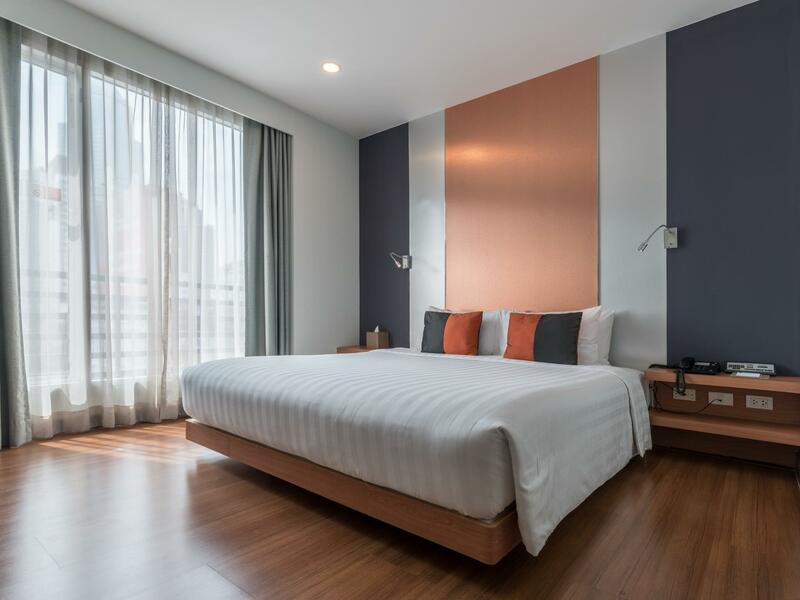 Offering guided tours, the Hotel Solo Sukhumvit 2 is the perfect place to stay to learn about the area and see everything you can while you're here. From a bar to room service, the hotel has an assortment of dining and snacking choices for you to enjoy. With Thai, American, and Asian restaurants nearby, you can experience all the delicious flavors of international cuisines. Have a delightful meal at T-House, Metal Shabu, Baan Thai Suk 16, HERO Food & Gathering, Leapfrog Restaurant and Bar or other eateries nearby. This hotel gives you access to a variety of transportation options, such as airport transfers, shuttle services, and taxi services. From a concierge to luggage storage, it has a range of useful services, ensuring that you get the most out of your stay in Bangkok. The Hotel Solo Sukhumvit 2 offers check-in from 12:00 PM and check-out until 12:00 PM. With pet-friendly facilities, this hotel is perfect for visitors who want to take their pet on holiday with them. It has express and private check in and check out, enabling you to conveniently choose the option that best suits you. The front desk is open around the clock, so there is always someone on call to answer any questions that you have. There's free Wi-Fi available in all rooms, as well as Wi-Fi in common areas, so you don't have to spend money on a local sim card while on vacation. With family rooms, the Hotel Solo Sukhumvit 2 offers adequate space for your whole family to have a good time together. "Good location and friendly staff." Well maintained rooms. Interesting window in the shower. Only Criticism : Small TV, No Balcony, Dark Room without the lights on, a fair walk down the soi (10mins estimate) if you are the type that like to pop in and out of your hotel a few time a day. Overall I would recommend. This is a beautiful and very nice hotel. The staf is very friendly and helpful. The hotel is in a great location. Just a short walk to the skytrain and all the taxis ar3 close. All the restaurants are in walking distance and also all the action just a short walk. But still a quiet location, no music or something. The rooms are great, clean and spacious. On the rooftop there is a very nice swimming pool, good to cool off on a hot day, or after a long day of shopping. Also there is a rooftop bar wich is very cosy to sit and watch the Bangkok skyline. Great place. And we are happy to come back again soon. Thaks for the good service and friendly greetings. We stayed here for our first two nights in Bangkok. The staff were lovely on arrival and helped us up to our rooms. The rooms were lovely, and had everything we needed for our stay. The hotel is modern and up to date. The staff was very attentive and polite, there was never anything too big or small for them and gave us lots of tips on what to do around Bangkok. Good location and friendly staff. But sadly it doesn't live up to its potential, considered the competition in the area. Water damage from the bathroom spilling in to the room. And generally poor quality workmanship throughout the room. Open plan is good. But no door to the bathroom, and a glass door to the toilet? Not so sure. There are a lot of better options in the area in the same price range. Paid for 2 nights, but ended up moving to a better hotel after the first night. I'm not sure how long ago those photos were taken but they did NOT represent our room nor our experience. Google rates this hotel as a 4-star hotel and the MAX it deserves is 3 stars.... Also the "included breakfast" is toast, a little fruit, lipton tea, and bad coffee. They have a nice coffee/espresso/latte maker but you have to pay for one of those. Area is seedy and full of tourists despite being in the commercial area of BKK. If you want that then fine. Room was big and clean and everything was good. No breakfast for the price wasn't good. There are loads of taxi drivers outside that hound you which is the norm. When I checked out I was asked if I needed a taxi to the airport. This is not normal in my experience. I'm guessing they work with the hounds outside who don't like to take no for an answer and one followed me, kept trying to tell me how far the airport is (station to airport is super close and much cheaper) and when I refused, he called me an insulting word in English, then went into his pitch again hoping I'd say yes! Decent hotel. Hotel is not near the BTS (~1km walk). It is located very deep in a small road, hence impossible to flag down cabs. The best possible lazy method of travel would be to Grab (which is a lot of expensive than the other two options) Whatever the hotel lacks in terms of location, they make it up with great hotel staff. Extremely accommodating and polite. Clean room, very friendly staff, good shower with hot water, walking distance to shops and eateries about 7 min walk out. 1 way traffic, taxi might not want to go in. Have to pay abit more for transport back hotel. Unless call grab. 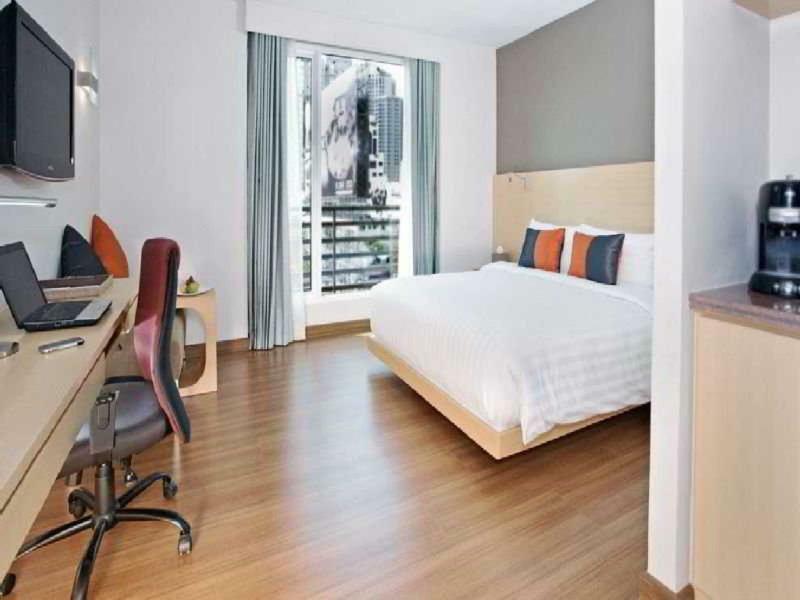 Solo 2 Hotel is an excellent choice for the money. Highly recommended, 10 start experience in all categories, professional staff, clean and quiet , spacious rooms with high ceiling, great value for the price. It was a last minute booking and upon arrival, I was warmly greeted by ACTING SUB LT. PUTTACHAT PAYAKWAN. She was very professional, kind, attentive, well spoken in English, to my circumstances. During my tenure there, She spent a few hours helping me sort out my situation by translating, arranging or providing the services or information needed, while still helping other patrons. The entire staff went out of there way to make me feel at home. Provide advice or giving me rides to major streets. Room service was quick to make up room. The food provided my the restaurant there was very tasty and reasonably priced. Thank your Solo 2 for the great experience in Bangkok. .
Nice clean hotel located on Soi 2. Quiet, so you can get a good night sleep from the noise of Soi 4. A decent walk to main road, they have a tuk tuk service, but Soi 4 easily accessible via an alley\car park, only 5 minutes. Rooms are quite nice, shower in weird location in the standard room, bed comfortable air con good, no issues. Didn't swim in the pool. Staff professional but not overly friendly or helpful. Little bit hit and miss. Asked reception to call a taxi and they told me its better if I go to main road..I think they could have called one. Overall no major complaints really, recommend. Affordable hotel on the Sky Train route. Great helpful staff and a nice little rooftop pool and bar. No complaints, awesome hotel. Great service & friendly staff. Near main road and BTS Skytrain station, with complimentary tuktuk to bring you there. Clean rooms and courteous/accommodating staff. Accessible to shopping havens, both high end and bargain! Near restos. A good although smaller hotel hampered by a limited Breakfast menu, particularly the Thai food. Avoid the Taxi hustlers across the road outside the Hotel, use the Hotel shuttle bus to Sukhumvit road, or walk it's not far. I liked this hotel for being smaller and in a quiet, safe little street just 5 min walk to the BTS which can bring you almost everywhere. The staff were very helpful with any requests or questions we had. The beds were harder than what I like but confy enough for a good night sleep after a long flight. The rooms were very clean and well maintained. The breakfast was super good with an eggs/pankake/waffle on demand station. I would definately go back there.